Back to business. Lots to do. A distinct V-22 Osprey flies over Miramar, a Naval Air Station with a friendly approach to all aviation lovers. NAS Miramar resumes full services ahead of foreseen schedule. As of 20:00 hours today NAS Miramar is back online. Hold was cut off short, there is work to be done. All services are to resume immediately all crews report for duty. Full line up. Fat Albert and the magnificent seven 1955 TF-9J Cougars at Miramar, May 24, 2016. For the next 7 days, effective immediately, NAS Miramar is at minimum capacity and all services except NFDT Blue Angels support are on hold. 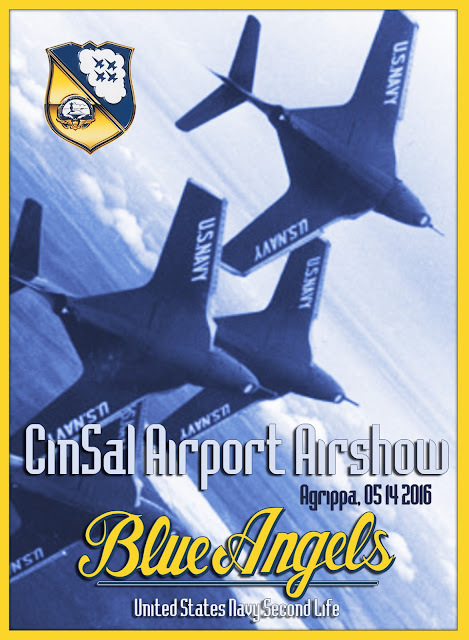 We will continue to hold Blue Angels practices as needed. All NAS Miramar assigned officers from NSTC last class should report back to Fleet immediately for redeployment. Before I write anything else, let me be clear about what this is. I am shutting this door closed, not opening it. There will be no comments allowed in this entry. When people are successful there will always be those whose shortcomings will lead to lashing out and trying to smear them rather than use that success to boost their own doings and thus become better and more successful themselves. Mediocre people tend to achieve very little after reaching a certain level, self-improvement is not their "forte", they'd rather stagnate and make sure everything around them stays at a lower level, to make their own mediocrity stand out as something more than it is. You can identify them by the amount of time spent denigrating others in stead of making themselves better. You can also identify these malcontents by the kind and caliber of their allegations, usually poorly substantiated if at all. It was brought to my attention that yet again this sort of action is targeting one of our senior officers and I would let this go by without bothering to post a reply were it not for the seriousness of some of the accusations, that go way beyond role play and step into Linden Labs TOS and one of its most important rules. So here it is. All our officers, junior and senior, go through a screening process that starts with a background check and is never complete. This means that their past actions and achievements are measured against their present ones. This is even more so with Commanding Officers. 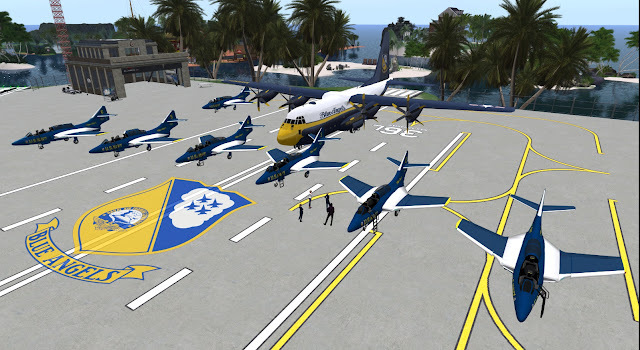 There is someone hiding under the warm blanket of anonymity trying to, once more, drag NAS Miramar and the US Navy SL names in the mud by implying we are allowing in our groups an officer unfit to serve in the United States Navy SL counterpart, a Second Life institution that mirrors the finest traditions of the real life US Navy. Let it be known that until hard evidence is produced and a fair trial is held we shall not take action against ANY officer in NAS Miramar and shall not indulge these malcontents who are not even capable of accusing others in broad daylight and choose the insidious anonymous slander as weapon. Accusations as serious as the ones reproduced in such manner would need to be reported with proof to Linden Labs and trust me, they would be swiftly investigated and punished if there were any grounds on which they could stand on. They can not. They are mere slanders and gossip. We stand by our officers and will to the best of our abilities make sure they are a fine example of the service men and women they mirror in real life in one of the finest military institutions in the world, the United States Navy. This door is now closed.